Background: Rheumatic heart disease (RHD) continues to create havoc in the developing countries even decades after its discovery. It is entirely preventable through primordial, primary, and secondary level intervention. Secondary prevention is a reasonable treatment option in patients in India, but it suffers due to poor adherence which remains the main impediment to its implementation. The aim is to study the compliance with benzathine penicillin as secondary prophylaxis in RHD patients and to establish the patient-related factors for adherence and reasons for missing of doses. Materials and Methods: This is a cross-sectional study of RHD patients presenting to our institute. The demographic data, clinical history, and details of penicillin prophylaxis were noted. The patient was labeled as compliant or noncompliant depending on frequency and duration of prophylaxis as prescribed. Potential factors between the two groups have been analyzed by univariate and binary logistic regression. 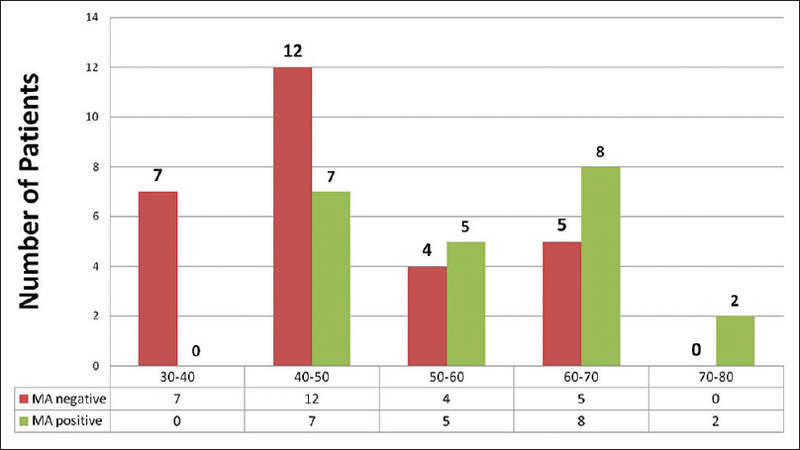 Results: The study cohort of 500 patients consisted of 261 compliant and 239 noncompliant patients. Average age of presentation was 29 ± 13 years with females outnumbering the males. 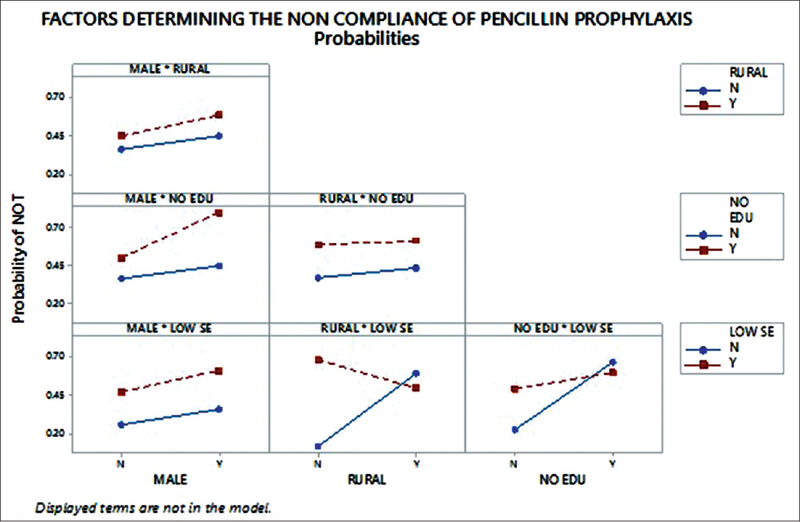 Noncompliance with secondary prophylaxis was more prevalent among male (P = 0.003), low socioeconomic class (P = 0.0009), uneducated (P = 0.000018), and the rural population (P = 0.025) while those with previous history of rheumatic fever (RF) were found to be more compliant (P = 0.04). Recurrences of RF were more common in those not on regular prophylaxis (P = 0.011). The most common reason cited for noncompliance was the absence of proper counseling followed by a sense of well-being, injection site pain and financial constraints. Conclusion: Compliance with secondary penicillin prophylaxis is essential to ensure eradication of RHD. Education about the importance and necessity of prophylaxis would improve compliance. A close patient and health personnel relationship is important in improving adherence to secondary prophylaxis. Background: Limited evidence is available among Indian patients regarding significance of microalbuminuria (MA) in context of hypertension and future cardiovascular morbidity. Therefore, the current study was undertaken to determine the prevalence of MA in hypertensive patients and to examine its correlation with severity of hypertension, left ventricular hypertrophy (LVH), and common carotid intima-media thickness (CCIMT). Material and Methods: Fifty treatment-naïve hypertensive patients (16–80 years of age) were prospectively enrolled. All patients underwent basic metabolic profile, urine evaluation, echocardiography, and measurement of CCIMT, and the data were evaluated. Results: MA (defined as urinary albumin excretion in the range of 30–300 mg/24 h) was present in 44% of patients with newly detected essential hypertension. A significant number of patients with MA had abnormally high mean left ventricular mass index as compared to those without MA. In addition, a positive correlation was also observed between MA and LVH. Furthermore, mean CCIMT was found to be higher in patients with MA (P < 0.001), with 69.2% of the patients with MA having elevated mean CCIMT. The CCIMT had a positive correlation with both MA and LVH. Conclusions: This study demonstrates the presence of MA in a significant number of newly detected and untreated patients of essential hypertension. Further, MA had a statistically significant relationship with LVH and CCIMT. Thus, screening of all recently diagnosed patients of essential hypertension for MA may be a reasonable strategy to predict the presence of future cardiovascular risk. 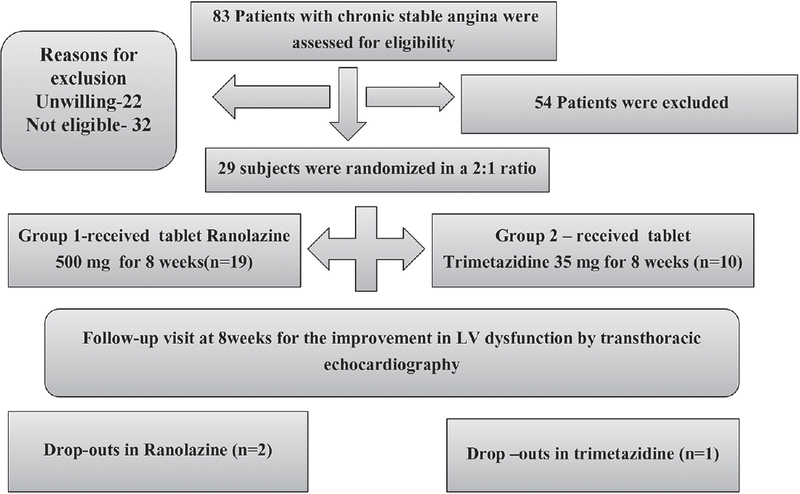 Objectives: To study the effect of ranolazine on improvement of left ventricular (LV) dysfunction in comparison to trimetazidine in patients with chronic stable angina (CSA). Ranolazine is an anti-anginal agent that acts on the late inward sodium current and prevents pathologic intracellular calcium accumulation that leads to ischemia, myocardial dysfunction, and electrical instability. Methodology: After screening and obtaining informed consent, 29 patients with CSA who have sustained ST-Elevation Myocardial Infarction more than 12 weeks ago with LV ejection fraction (LVEF) ≤40% in a 2:1 ratio to receive ranolazine 500 mg BD (n = 19) or trimetazidine 35 mg BD (n = 10) were enrolled in the study. The patients were evaluated at the end of 8 weeks for the improvement in LV dysfunction by transthoracic echocardiography. Results: No significant difference was found in the baseline characteristics of the patients between the two groups except the increased body mass index among users of trimetazidine (26.3 ± 5.07 vs. 22.1 ± 3.26, P = 0.03). Study patients receiving ranolazine 500 mg BD for 8 weeks significantly improved the LVEF. No improvement was seen in diastolic function. Ranolazine was well tolerated among the patients. Conclusion: Ranolazine at a dose of 500 mg BD given for 8 weeks helps in improving the LVEF in patients with CSA and is a suitable option than trimetazidine among patients with CSA. Cardiometabolic risk is a condition in which the possibilities of developing vascular diseases including hypertension, metabolic syndrome, obesity, type 2 diabetes, ischemic heart disease, and stroke are significantly enhanced as a consequence of the presence of various risk factors, which are known to promote these conditions. Cardiovascular diseases (CVDs) cause one-third of all deaths worldwide. Noncommunicable Disease Risk Factor Collaboration, in their seminal article in the Lancet (April 2016), concluded that “if the post-2000 trends continue in the incidence and rise of diabetes, the probability of meeting the global target of halting the rise in the prevalence of diabetes by 2025–2020 level worldwide is lower than one percent.“ According to the Institute for Health Metrics and Evaluation, today, 2.1 billion people, nearly 30% of the global population, are either obese or overweight – a new, first-of-a-kind analysis of trend data from 180 countries. As part of the 2020 impact goals, the American Heart Association (AHA) has set out seven ideal health goals; not smoking, maintaining a normal weight, increased physical activity, a healthy diet, normal blood lipid levels, normal blood pressure, and a normal fasting glucose. 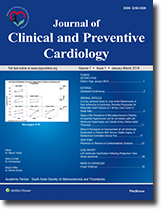 An analysis of the National Health and Nutritional Examination Survey showed that individuals who met five of the seven ideal metrics of AHA had a 78% reduction in the hazard ratio for all-cause mortality. The INTERHEART study estimated that modifiable risk factors accounted for 90% of the population attributable risk for heart disease in men and 94% of the risk in women. Consistent with this, Khera et al. 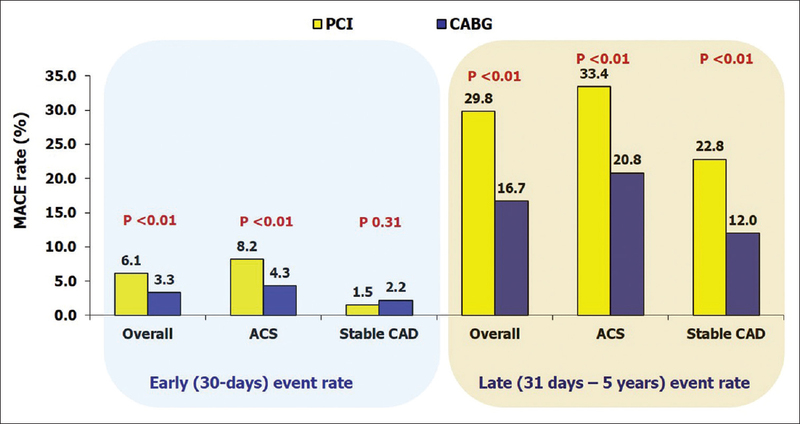 (NEJM: 375:2349–582,016) showed that in four studies with over 55,000 participants, a favorable lifestyle intervention was associated with nearly 50% lower risk for coronary artery disease, in spite of the genetic risk. In this overview, we discuss some prevention strategies for the major cardiometabolic conditions such as hypertension, obesity, type 2 diabetes, and ischemic heart disease. We also discuss results of studies in which reversal of these disease conditions has been claimed. Toxic shock syndrome (TSS) is a rare but lethal clinical event that can occur during the postpartum period. Early recognition and intervention is critical to improve patient outcomes. This is a case of TSS complicated by cardiac arrest and left ventricular calcification. 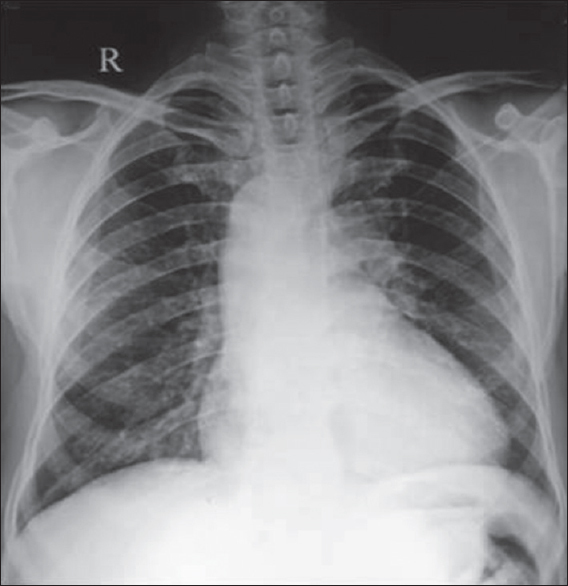 This is a case report of streptococcal TSS in a 29-year-old female in the postpartum period who presented with fever, abdominal distension, and a purpuric rash. Her hospital course was characterized by multiple organ failure, including respiratory distress syndrome, liver failure, renal failure, and coagulopathy. She was found to have acute compartment syndrome, which resulted in a below-the-knee amputation. 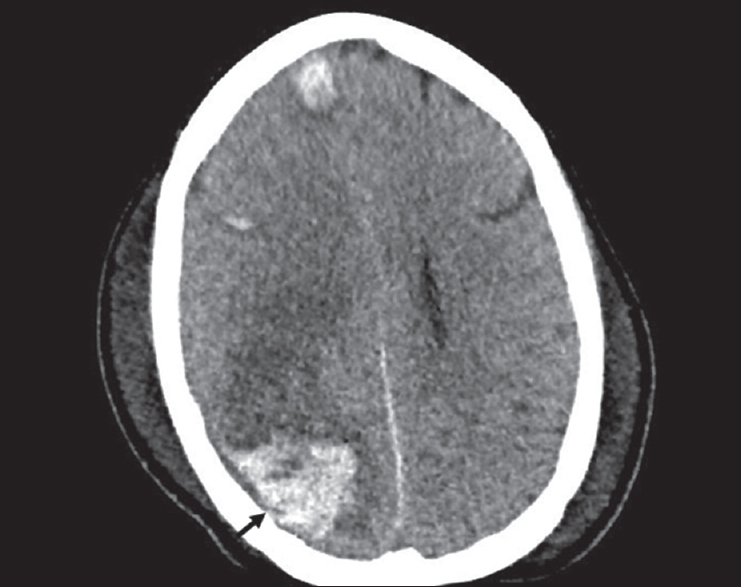 She deteriorated further after experiencing cardiac arrest and the development of hypoxic-ischemic encephalopathy with hemorrhagic transformation. A computed tomography scan of the chest revealed evidence of dystrophic myocardial calcification in the left ventricle. She improved clinically but remained ventilator dependent upon discharge to an extended acute care facility. Sepsis-induced cardiomyopathy can result in myocardial calcification. As dystrophic calcification can significantly affect cardiac function, clinicians should rule out cardiac calcification in patients who have had severe septic shock.